Solarwinds Virtualization Manager is one of the remarkable software among their network, applications, virtualization and storage management softwares. Solarwinds Virtualization Manager is a product, which came out when Solarwinds acquired a company called Hyper9 in January 2011. It is a heterogenous Virtualization monitoring tool which can allow to monitor and manage VMs like by VMware as well as Microsoft Hyper-V.
Solarwinds Virtualization Manager is a paid product but Solarwinds itself is a company with quite interesting tools and structure of the company. 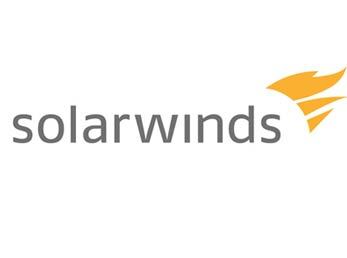 SolarWinds products are all downloadable and the company™s primary method of product support is its large online community, which allows users to help each other and add and share custom functionalities, templates and plug-ins. Although Solarwinds Virtualization Manager is not a free software, it has a trial version which gives an opportunity to test its usability and features for free of cost. Solarwinds Alert Central, at the time of publication of this article is now on beta ; which is quite hot topic now. Although Solarwinds Virtualization Manager is good for big setup, the price is too high and not agreeable for small to medium setup. Quite obviously, as more and more Free Softwares for Virtualization and Cloud Computing are coming up, these kind of closed source or paid marketing model does not work anymore. Red Hat has adapted the Open Source and Free model too for survival. This Article Has Been Shared 6072 Times! Cisco Cloud Services has taken the way of its family of telecommunication services, large companies and retailers to help them deliver solutions as a service. Cite this article as: Abhishek Ghosh, "Solarwinds Virtualization Manager and Other Tools," in The Customize Windows, February 13, 2013, April 21, 2019, https://thecustomizewindows.com/2013/02/solarwinds-virtualization-manager-and-other-tools/.